Born 30 July 1974 in Tarnów. Considered Poland's best living science fiction writer. Dukaj earned a Master's Degree in Philosophy from Jagiellonian University. He has been nominated a number of times for the esteemed Janusz Zajdel Award, winning it four times: for Czarne oceany / Black Oceans in 2002, Inne Pieśni in 2003, Perfekcyjna Niedoskonałość in 2004 and Lód / Ice in 2007. His nominations for the Nike Literary Award (2008), for Polityka Passports in 2004 and 2008 and for the Kościelski Award which he received in 2008 show that the merit of his work transcends a narrowly defined genre. Dukaj debuted with Złota Galera / The Golden Galley, a story which he apparently wrote at the age of fourteen and which appeared in print in the magazine Fantastyka (2/1990). Early on he wrote mostly short stories and had them published in the "trade" magazines Nowa Fantastyka and Feniks; they were later collected in the volume W Kraju Nniewiernych. His stories also appeared in anthologies (Wizje Alternatywne 2, Trzynaście Kotów), a testimony to their popularity among the fantasy readers. He was made known to the wider public through Tomasz Bagiński's 2002 Academy Award-nominated Katedra / The Cathedral, a short animated film based on Dukaj's short story. Short stories were followed by novellas, like Irrehaare, and in 1997 Dukaj wrote his first novel, Xavras Wyżryn, an alternative look at history in which he had Poland lose the war of 1920. The way in which he tackled the book's theme – a discussion of patriotism – lacked sophistication and brought to mind mediocre fantasy novels of a patriotic slant, but when Dukaj revisited the topic ten years later in the novel Lód / Ice an outstanding piece of prose resulted. In terms of genre, Dukaj uses the elements of cyberpunk (take the grim visions of a computerized future in which human bodies and brains are subjected to technical modifications which often help with illegal activities), alternative history and horror. What sets his writing apart - and has done so ever since Złota Galera – are the frequent references to religion. 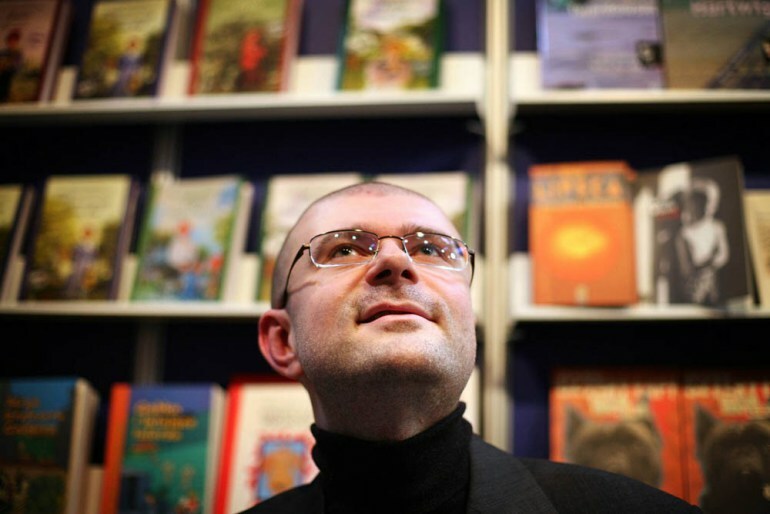 Dukaj likes experimenting with genres: his short story Ruch generała / The Iron General shows a fantasy world whose technological progress has equalled that of ours. Dukaj considers the ability to build consistent visions of other worlds central to science fiction writing, yet usually complements them with presentations of sciences that describe such worlds, including comprehensive terminology and a register of things which these invented sciences cannot explain. This particular realism in delineating the borders of human cognition may have something in common with the realism practised by Stanisław Lem, who introduced the theme of the wear and tear of future inventions. Unlike his great predecessor, however, Dukaj is more accustomed to a society in which information has become the key commodity. Like Lem, though, he is endowed with amazing linguistic creativity and a sensitivity to the element of parody. And there is the aspect of the obscure and secret relationship between science and authority which provides a link between Czarne Oceany / Black Oceans and Lem's Głos Pana / His Master's Voice. Inne pieśni provides a somewhat different show of styling, each chapter offering a successful pastiche of a detective story, an adventure book or of the genre known as space opera, its heroic convention used to present military combat in the universe. A certain peculiarity of Dukaj's prose – and one which runs counter to what has been said so far – is the rather repetitive repertoire of sets and plot which he uses to express a variety of intellectual concepts. There is the recurring motif of a chosen hero and of almost ritual mutilation of his hand, the hypothesis of a future fashion that would copy the historic designs and the vision of artificial intelligence encoded in a crystal (the 'live crystal' from Katedra or the 'mirror virus' from Irrehaare). Quite frequent is also the theme of 'post-human beings' as products of genetic manipulation or of the evolution of the homo sapiens species. The way in which Dukaj develops this motif shows, however, that the idea behind this repetitiveness is not to recycle a successful plot idea but to analyze an issue which occupies the writer's mind. Indeed, each of Dukaj's books brings a different vision of the relationships between humans and post-humans, from an almost complete strangeness in Extensa to the shaping of civilization so as to maintain its continuity for as long as possible in Perfekcyjna Niedoskonałość / An Ideal Imperfection [aka Perfect Imperfection]. Besides Dukaj's creativity critics have usually pointed to the discursive nature of his prose and its occasional clash with the desire to build attractive plots, a case in point being the number of lectures and discussions in the novel Czarne Oceany. As a result, the pleasure of reading Dukaj's books is increasingly derived from the discovery of the rules which govern the world he describes rather than from the fascination with the events he presents. Again, Lem's Głos Pana, a novel in the form of an essay, comes to mind.Lód, in turn, has been compared by Wojciech Browarny to Witkacy's novels: they, too, offer bagfuls of things and their characters are extraordinarily prone to discussions. Lód is arguably Dukaj's most ambitious attempt to create an alternative world with its own physics, technology, history and even logic. The start of a different reality is spurred by the fall of the Tunguska meteoroid in 1908, causing a climatic disaster resulting in the freezing of half of Europe, the discovery of new technologies based on frozen iron and, in consequence, Russia's economic success and the perpetuation of the Romanoff dynasty. Laws of physics change, too, causing the appearance of opposites of light and electricity. Both have a surprising effect on the human mind, they loosen the causal relationships and weaken the perception of time, the past becoming dependent on the current perception of the present. Meanwhile, the Tsarist authorities force the book's key character, Benedykt Gierosławski, son of a Siberian exile, to look for his father. When, owing to the Bulgarian inventor Tesla, he achieves some control over the new physical phenomena, things that beat description start to happen. It's an extraordinary book. Dukaj combines various styles, the language of a little boy with a grotesque newspeak. The protagonists seem like characters from comic books and the serious subject is taken into a frame of a nightmare. The spirit of Lewis Carroll and the brothers Grimm floats upon the whole book, although Dukaj also references Cormac McCarthy, Edgar Allan Poe, Stefan Żeromski and Tadeusz Konwicki. The book was illustrated by Jakub Jabłoński. A board game about the martial state was inspired by it, and Kazik Staszewski wrote two songs that illustrated it. Wroniec was shortlisted for the Literary Central Europe Award Angelus in 2010 and was nominated for the Zeidel Prize. Starość Aksolotla / The Old Axolotl, only published in the form of an ebook, is the first Polish "augmented book" – a type of book which engages the reader in an unprecedented way, enriched by multimedia elements, such as layers of hypertext and illustrations of robots made for 3D printing. Apart from writing, Dukaj has involved himself in other literary activities and has been the editor of PL+50. Historie przyszłości, an anthology of visions of the future of Poland. He is also a keen reviewer and essayist, his most reverberant essay having been Lament Miłośnika Cegieł / The Outcry of a Brick Lover (published in Gazeta Wyborcza daily), a piece expressing Dukaj's longing for the traditional realistic novel which has been ostentatiously abandoned by the Polish writers, especially those of the younger generation. The fact that such a reflection has been penned down by a science fiction writer is extremely thought-provoking and sheds a totally different light on his writing. If Dukaj's works are to be seen as having something to do with realism, the connection may occur in one of two aspects: either in his care for consistency and probability of the presented worlds or, more profoundly, in his treating of science-fiction as a tool of cognition. One may only wish that a similar attitude be common among the so-called mainstream writers. At first, the sensual impressions were the most important. The hypnotic power of this transfer of experiences… Now, what has come to the surface is the universalism of Kurtz’s existential discovery, its topicality – how accurately Conrad predicted the spiritual situation after the death of Europe in the 21st century. Author: Paweł Kozioł, December 2008; updated by AP, February 2019. For information about Dukaj and his works visit www.dukaj.pl. Joseph Conrad, Heart of Darkness, tłum. Jacek Dukaj, Wydawnictwo Literackie 2017. Srdce Temna [Serce Mroku] in: Polská ruleta 2 [the Czech anthology of Polish fantasy], trans. Pavel Weigel, Laser, Plzeň 2005. The Golden Galley [Złota Galera] in: The Dedalus book of Polish fantasy, trans. Wiesław Powaga, Dedalus/Hippocrene 1996. Die Goldene Galeere [Złota Galera] in: Auf der Straße nach Oodnadatta, trans. Jacek Rzeszotnik, Heyne Verlag, 2001. Zuzanna és a világmindensé [Córka łupieżcy], trans. Mihályi Zsuzsa, Typotex, Budapest 2012. La Cattedrale [Katedra], trans. Marco Valenti, Justyna Kulik, Editioni Voland, Milano 2013. Мухобой in: Польская фэнтези [the Russian anthology of Polish fantasy], ACT, 2002.